After Nottingham Forest suffered a home defeat to Blackburn Rovers, Jack Robinson appeared to take a thinly veiled swipe at Martin O’Neill for playing out of position. He told Nottinghamshire Live: “I was a little bit surprised to find myself at centre-half again.” Supporters have pleaded for O’Neill to play Robinson at left-back, but the Forest manager continues to defy them. Robinson partnered Molla Wague at the heart of the defence on Saturday. Jack Colback started at left-back with Sam Byram keeping his place at right-back. Yohan Benalouane was on the bench. Against Rovers, Robinson made 80 touches, 63 passes with 83% accuracy, won two aerial duels, had one shot, created one chance, made two tackles and two interceptions. The 25-year-old has made 36 appearances in all competitions since joining Forest on a free transfer from Queens Park Rangers last summer, scoring and creating four goals. In the Championship, Robinson has made 34 appearances, making 137 clearances, blocking 12 shots and 17 crosses, winning 112 aerial duels (54%), averaging 37 passes-per-game with 75% accuracy and averaging a tackle (72) or interception (41) every 26 minutes. 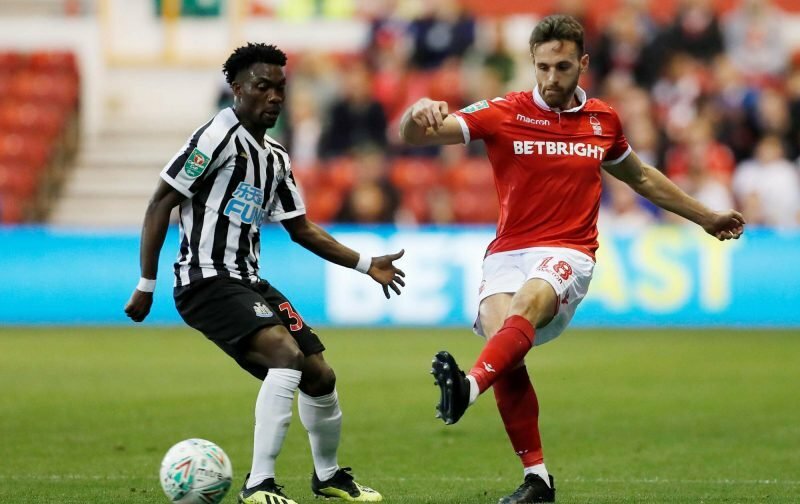 Robinson has enjoyed a good debut season at the City Ground and has the support of the fans, but whether he’ll end the campaign in his favoured left-back role remains to be seen.